A few of the latest features I have been working on since the last development log. 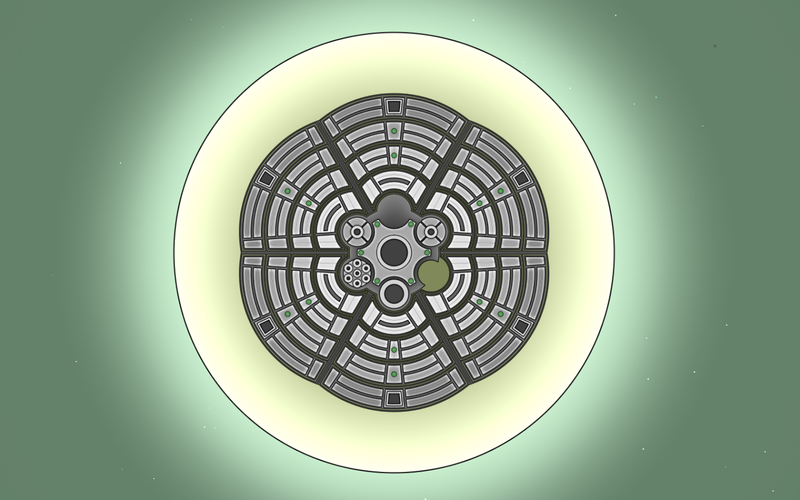 Finished creating some additional colony graphics to show roughly how large the planet populations are. 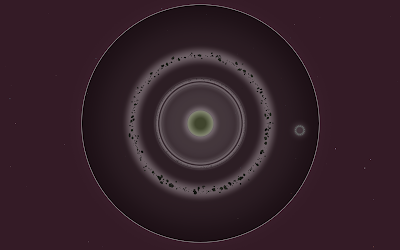 The graphics change based on the current colony population in relation to the maximum it can support. It starts off with just the colony infrastructure visible where the facilities are built in the center. Then at 20%, 40%, 60% and 80% of the maximum population it will grow outwards an extra zone. The textures are very large (uses a lot of GPU memory) so I dont think it will be possible to make seperate versions for each faction with the same color customization system that is used for ships. 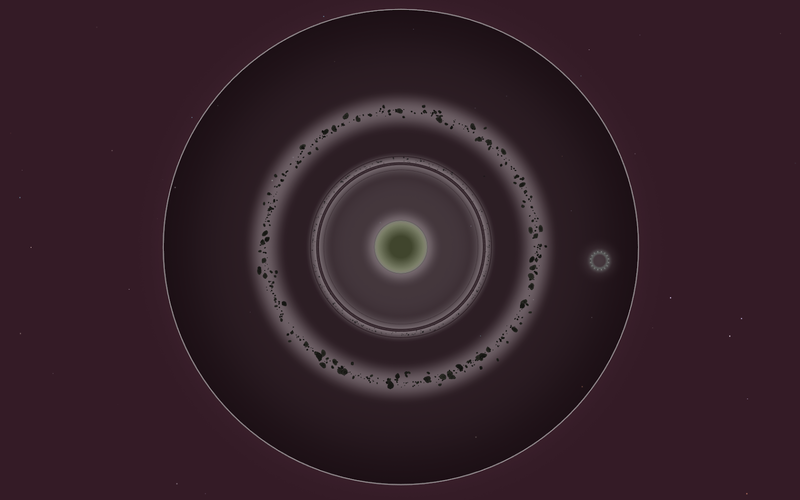 I'm not sure yet whether you will be able to use passenger ships to move migrants between colonies, but am aiming to have the colonies take quite some time (in-game) to reach their maximum size through normal growth. 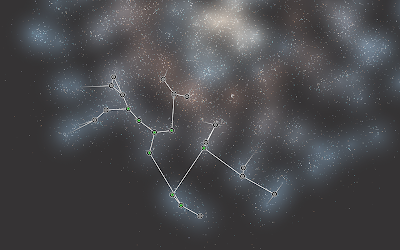 Did some experimenting with fog of war by making each ship have a limited view distance. (similar to most RTS games) I didnt think it looked quite right for Galaxial and was rather annoying not being able to see the whole battles taking place. So I have decided to use a system where you only need a single ship in a sector to reveal the entire area, rather than revealing smaller areas around each individual ship. Once you no longer have any ships or a colony in the sector, then it will become hidden again and covered by shroud. Asteroids, jumpgates, wreckage and the colony will remain partly visible based on what was there the last time it was visited. If you return after some time you may find it has changed or some things have disappeared. I will most likely add a new specialized ship type that can be used for scouting and exploration. They will get a cloaking module bonus to help them remain hidden. Destroyer class ships will get bonuses to detecting the cloaked ships. At the start of a game all sectors will be hidden on the galaxy map until they are explored. 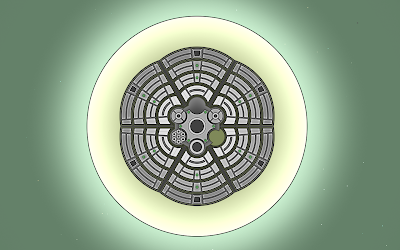 Made a few changes to some of the ship modifiers for balancing reasons and added some extra ones. There is now just one generic damage type rather than being seperated into explosive, electromagnetic, chemical types etc.. This is to make it simpler when designing ships and reduce the need to equip so many modules that add protection from individual damage types. Added a stacking penalty for when you equip modules that affect the same attribute. This is to make it impossible to get really overpowered ship stats or becoming immune to damage.